Obituary – Graham, Linda Lou (Pettit) « Perry High School Alumni Association, Inc.
Linda Pettit Graham, 63, of Perry passed peacefully from this life on April 24, 2014 in Oklahoma City. 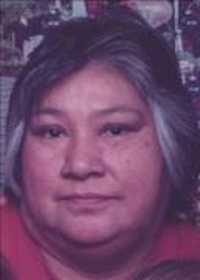 Services have been entrusted to the care of Palmer Marler Funeral Home of Perry and a service celebrating Linda’s life will be held on Sunday, April 27, 2014 at the Otoe-Missouria Cultural Center in Red Rock, OK with the tribal feast starting at noon Sunday. 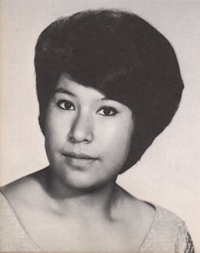 Burial will follow at the Otoe-Missouria Tribal Cemetery in Red Rock, OK.
Linda Lou Pettit was born on November 27, 1950 in Pawnee, OK to Charles and Esther (Burgess) Pettit. She grew up and attended schools in Perry, OK. Following high school, Linda gave birth to her first child, Charles David Pettit. She went to work for OG&E as a construction laborer for several years before leaving to work at the Red Rock Bingo Hall. She later worked as a waitress for several years at the Red Rock Café. In 1980, Linda married Wesley Graham and they had two wonderful children, Malinda and William, before ending their marriage in 1989. Wesley and Linda remained friends for many years. In the early 1990’s Linda was the manager of the Perry Salvation Army Thrift Store, a position she held until the store closed many years later. Linda spent many years as a caretaker for her parents and grandparents. Her caring nature made her a perfect fit for the children of the Perry YMCA and from 2007 to 2011 Linda worked as a babysitter for many wonderful kids. She loved her job and would often say that she has more blonde haired, blue-eyed grandbabies than anyone else in the Otoe-Missouria Tribe. In 2011, Linda’s failing heath forced her into an early retirement. Although her health was an issue, it didn’t stop her from volunteering her time at Operation Blessing and at the Kaw Street Chapel Food Pantry. She was a member of the Otoe-Missouria Tribe, the Eloska Society, (Native American dance group), and Kaw Street Chapel in Perry, OK. When she wasn’t working or volunteering, Linda enjoyed sewing shawls and Indian costumes for her grandchildren. She always had a project going and enjoyed making Christmas decorations and stockings. When she was young, she loved going frog and squirrel hunting and fishing with her family and friends. Family was a major priority for Linda and she always looked forward to the annual Burgess Family Reunion. Linda was never happier than when she was surrounded by her kids and grandkids and if there was an activity going on at the tribe, chances are that Linda would be there. Linda Graham was a selfless and caring woman who always put the needs of her family above her own. She was a good listener who could always be relied on to help out in any way she could. She loved to make others laugh and her smile could brighten even the darkest situation. She was a loving mother, a protective grandma, a loyal sister, a hard worker, and a trusted friend. She will be missed by all who knew her. Left behind to carry on Linda’s legacy of care and compassion are her children Charles “David” Pettit and wife Catrina of Red Rock, Malinda Dunn of Perry, and William Graham of Enid. 10 grandchildren: Andrew Pettit and wife Katlin of Perry, Lee Dean, Heather Dunagan, Camaron Pettit, and James Pettit, all of Red Rock. Peyton Dunn and Wesley Dunn of Perry. Tyler Alley, Matthew Graham, and Alexis Graham, all of Enid.